Willow has a hankering to go to the seaside, to visit his cottage among the dunes and the gently waving grasses, and he decides that he will take all his Paradise farm friends with him. With Little Pink Pig's help they are soon all packed up and the little teddy bear leads the sheep, cows, geese, chickens, and the horse over Appleby Downs and down to the sandy beach and his beloved Salt Cottage. In no time everyone is off and enjoying themselves, resting and playing, having a picnic on the sand and watching the sun set. 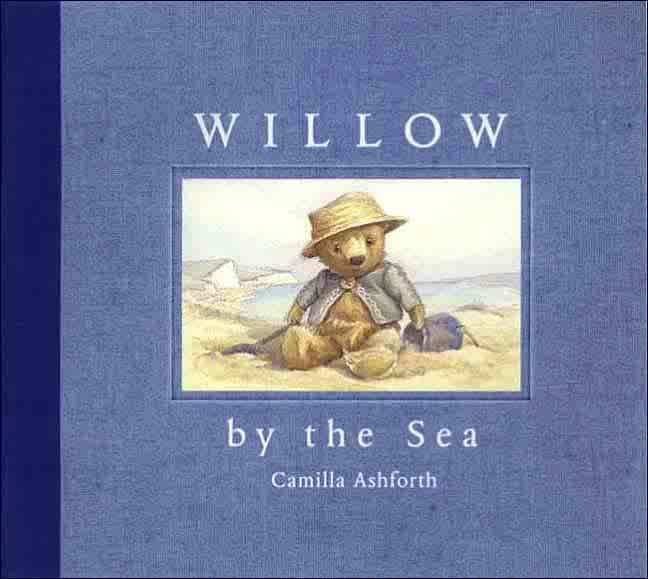 "Willow by the Sea" fills one with a sense of peace and perhaps with a longing for a world as calm and idyllic as the one Willow and his friends occupy. Camilla Ashforth's soft and lovely watercolors will be the delight of teddy bear lovers of every age.